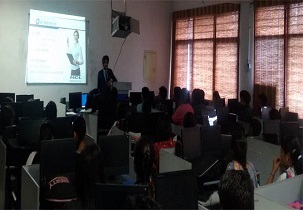 Indus International University is the reputed University which aims to impart educational platform in several higher education domain in rural India. In the year 2009, The University was been set up under Establishment and Regulation Act. 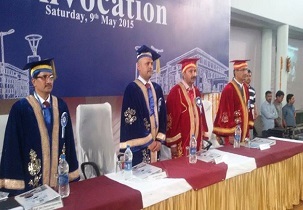 Indus International University was sponsored by a not for profit society Kartha Education Society (Mumbai). Indus International University is recognized by UGC. The University provides quality education in all domains. The University imparts high qualitied and world class Undergraduate and Postgraduate programs to the participants. Indus International University has a sprawling and beautiful campus which is spread over 160000 sq. feet. Indus International University provides various facilities such as Computer labs, Cafeteria, Auditorium, Sports facilities, Outdoor playground, WIFI, Library and In Built mini hotel. Indus International University imparts fully air conditioned and excellent acoustics and inside the auditorium, the University organizes various cultural programs and events such as there will be musical performances and chamber music. Placements at Indus International University give important priority for student’s welfare and it nurtures participants to be job-ready. Top recruiters: Videocon, Reliance, Beta Soft, CQLsys, picNframes. Indus International University has many nearby places to hang out and students can have refreshment places, the popular one is Bhakhra Nangal Dam. Are you Interested inIndus International University"? Please provide the following details.